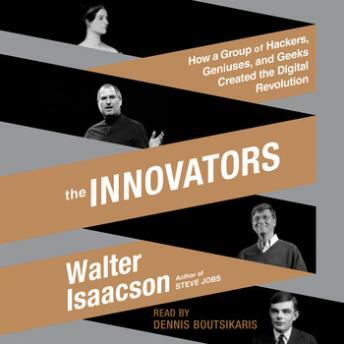 Listen to "The Innovators: How a Group of Hackers, Geniuses, and Geeks Created the Digital Revolution" on your iOS and Android device. I enjoyed this book, the narration was excellent as well. Absolutely love. The narrator is phenomenal. It is a lot of information to take in but I feel that I get more listening than I would reading the thick book. Walter Issacion' book on Steve Jobs was great. I had first read the abridged version. Then when done wanting more I went back and listened to the unabridged version. I have. Degree in computers and this book was way too technical for me, somebody with less knowledge would be lost. This is the first book in a long time I contemplating putting down. I persevered and still one of my top five do not reads in my lifetime. I feel this did not need to be so technical to get their story across and broader audience may have enjoyed it.